LAST CHANCE TO WIN DERBY TICKETS! 10 lucky readers will each win 2 tickets to the Derby PLUS 2 tickets to the Absa Red Ticket Zone! 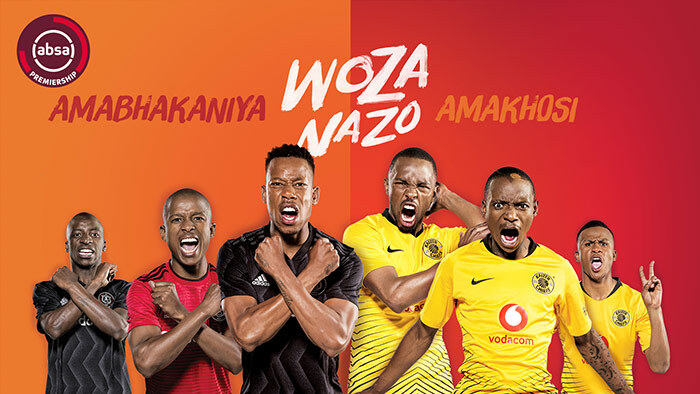 The Citizen and Absa, sponsors of the Absa Premiership, are giving away 10 double tickets to the Absa Premiership Soweto Derby between Orlando Pirates and Kaizer Chiefs on Saturday, 27 October at the FNB Stadium. These are highly-sought after Absa Red Ticket Zone tickets that allow fans access to the now popular entertainment fan zone with premium grandstand seating. The Absa Red Ticket Zone opens at 11:00 and closes 2:30. Each guest will receive food, refreshments, a Woza Nazo hamper and a snack pack ahead of kickoff. T&Cs apply. Winners to collect tickets from The Citizen in Johannesburg only. By entering the competition, you agree to sign up to The Citizen’s free online daily newsletter and accept The Citizen’s standard terms and conditions.